Use Accent #1 to choose the chocolate color for the buckle. Use Accent #2 to choose the chocolate color for the flowers. If no Accent #2 is chosen, the flowers will be the same color as the buckle. 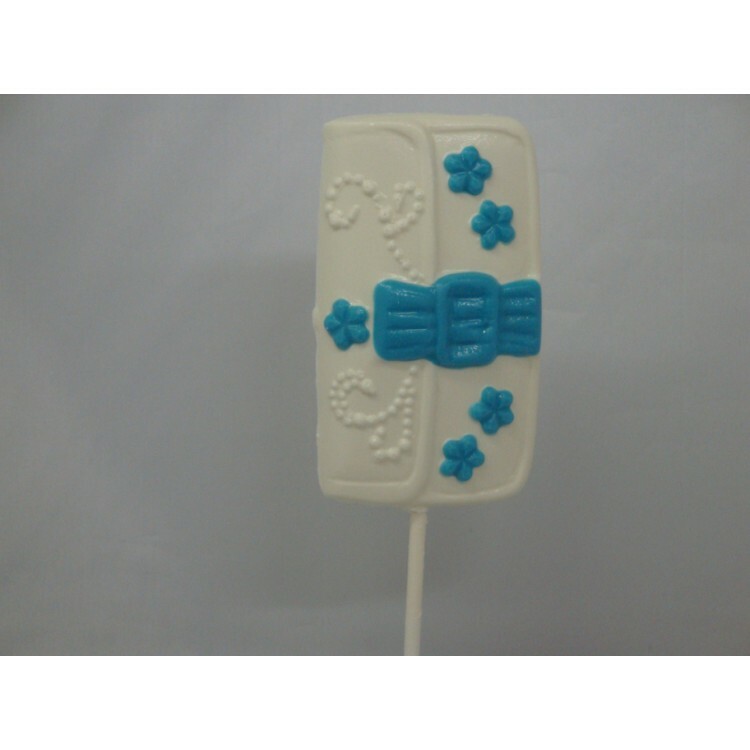 Shown in picture is Pop fill color is Super White Chocolate and the Accent #1 is Blue.